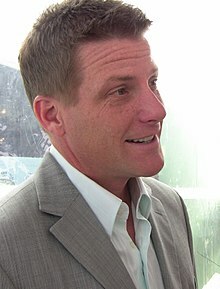 داق سونت (اینگیلیسجه: Doug Savant) آمریکالی اوْیونچو. ۲۱ ژوئن ۱۹۶۴ ‏ ایلینده کالیفورنیا ایالتینده دۆنیایا گؤز آچیب. 1974–گۆنوموز ایللر آراسیندا سینما ساحه‌سینده چالیشیب. 1995 Burke's Law Actor Episode: Who Killed the World's Greatest Chef? 2001 That's Life J.T. 's Cousin Episode: Or What's a Heaven For? NYPD Blue Jason Foster Episode: "Chatty Chatty Bang Bang"
NCIS: Naval Criminal Investigative Service Father Larry Clannon Episode: "A Weak Link"
CSI: Crime Scene Investigation Paul Brady Episode: "Swap Meet"
2012 Hot in Cleveland Scott Episode: "Two Girls and a Rhino"
2013 Vegas Mr. Binder Episode: "Road Trip"
Rizzoli & Isles Judge Roger Thorson Episode: "Judge, Jury & Executioner"
Drop Dead Diva Jacob Joardi Episode: "Jane's Secret Revealed"
Criminal Minds Malcolm Taffert Episode: "The Caller"
2015 Scorpion Wilson Adler Episode: "Tech, Drugs, and Rock 'n Roll"
2016 The X-Files Augustus Goldman Episode: "Founder's Mutation"
Notorious Paul Weston Episode: "The Burn Book"
Pure Genius Simon Monroe Episode: "It’s Your Friendly Neighbourhood Spider Silk Surgery"
2017 SEAL Team Malcolm Episode: "Borderlines"
Lucifer Forest Clay Episode: "Quintessential Deckerstar"
اینگیلیسجه ویکی‌پدیاسی‌نین ایشلدنلری طرفیندن یارانمیش«Doug Savant»، مقاله‌سیندن گؤتورولوبدور. ( ۲۲ ژانویه ۲۰۱۸ تاریخینده یوْخلانیلیبدیر). قارداش پروژه‌لرده داق سونت گؤره داها آرتیق بیلگی‌لر تاپابیلرسینیز.